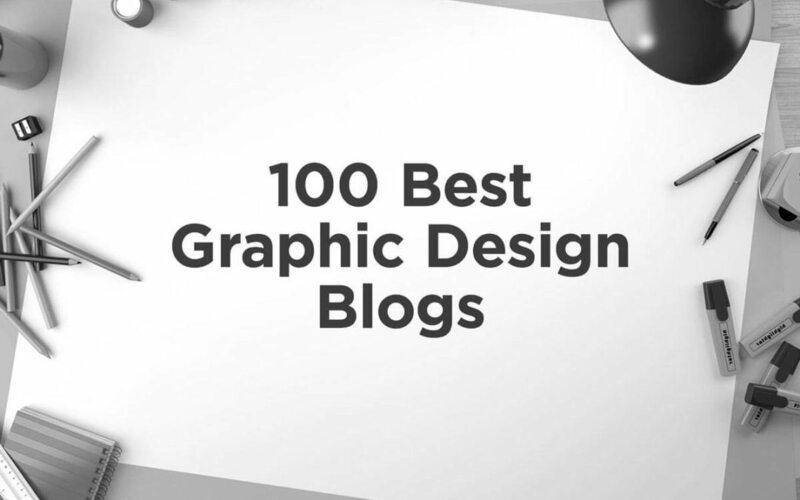 If you’re looking for the best design blogs to follow… you’re in the right place. Get your RSS reader warmed up and subscribe to these blogs for daily updates of Graphic Design Inspiration, Branding advice, Typography tips and Web Design Tutorials. I’ve spent the last few days curating this list from my own Feedly collection and suggestions from other designers – certainly come across a few amazing resources in the process. If I’ve left any incredible design blogs out of the list you feel should have made the cut, feel free to leave a comment at the end – I’ll review and keep the list as up-to-date as possible! Inkbot Design’s Blog – http://inkbotdesign.com/blog – I focus on articles aimed to help young designers, along with a few here and there to help my clients with their own brand. Abduzeedo – http://www.abduzeedo.com/ – A popular blog that covers a range of topics for designers and creatives, primarily as interviews and tutorials. Creative Bloq – http://www.creativebloq.com/ – “Your daily does of design tips and inspiration” perfectly sums up the Creative Bloq – be sure to bookmark this one! AisleOne – http://www.aisleone.net/ – An inspirational resource focused on design, typography, minimalism and modernism. 99Designs Blog – http://99designs.co.uk/designer-blog/ – yeah, we all hate crowdsourcing and it’s unethical approach, but the 99Designs blog can be a regularly interesting read. I’ll give them that. Swissmiss – http://www.swiss-miss.com/ – clearly Swiss-inspired design blog which features a lot of creative images – be sure to check out their “tiny objects and Pantone chips” series. The Next Web’s Creative News – http://thenextweb.com/section/creative/ – TNW’s creative section of the blog is a superb resource for all things related to creative people. If you’re interested, they do have other sections worth looking at such as ’tech’, ‘money’ and ‘apps’ in the menu. Hongkiat – http://www.hongkiat.com/blog/ – Design tips, tutorials and inspiration. You The Designer – http://www.ucreative.com/design/ – Topic spanning design blog with a bunch of great content to suit almost every designer’s needs. How Design Blog – http://www.howdesign.com/how-design-blog/ – Covers all the latest design news, trends and visual inspiration to keep you up-to-date. Graphic Design Blog – http://www.graphicdesignblog.co.uk/ – Another all-encompassing, yet high-quality blog on everything graphic design related. Designrfix – http://designrfix.com/ – I find myself here regularly when I come across the ‘design deals’ and freebies, but they have great articles too. Designer Daily – http://www.designer-daily.com/ – Blogs updated everyday, like this one, are great for catching all the special design deals. Shillington Design Blog – http://shillingtondesignblog.com/ – Just a great mix of well-written, informative articles and lovely visuals. Graphic Mania – http://www.graphicmania.net/ – Design tutorials, vector packs and photography ideas all in one blog. Form Fifty Five – http://formfiftyfive.com/ – Graphic Design inspiration from around the world. Graphic Design Junction – http://graphicdesignjunction.com/ – Full of design inspiration, free resources such as vector images/fonts, along with some great tutorials. Design Instruct – http://designinstruct.com/ – A regularly updated blog on all things design, with really interesting articles you’ll want to read and share. Roberto Blake’s Blog – http://robertoblake.com/blog/ – One of only a few designers to embrace video that I’ve come across, I definitely recommend subscribing to his channel. Creative Roots – http://creativeroots.org/ – A very clever approach to art and design inspiration from around the world, filtered by countries. Dexigner – http://www.dexigner.com/ – An online portal for designers, architects, illustrators, engineers, artists, and creatives of all kinds. HND Graphics – http://www.hndgraphics.co/ – Curated by the Richmond Upon Thames College, this blog provides a lot of information to young designers and students. Design Juices – http://www.designjuices.co.uk/ – Features a bunch of great articles in general, but what stands out here is the frequent interviews with designers. I Love New Work – http://ilovenewwork.com/ – Designers sharing their inspiration and latest work, which makes it your daily base for new stuff, and also a big online portfolio for all it’s members. Designmodo – http://designmodo.com/ – With a focus on the web and developer related articles, I find Designmodo an excellent resource to learn UI and UX through their tutorials and advice. Smashing Magazine – http://www.smashingmagazine.com/ – Another great resource for learning the basics of web design and development, super helpful for print designers like myself. Spyre Studios – http://spyrestudios.com/ – A popular web design and development blog, Spyre Studios offers some intermediate web tutorials amongst general design inspiration and advice. Vandelay Design – http://www.vandelaydesign.com/blog/ – One of the most popular web design blogs, Vandelay Design provides a breadth of articles of interest to most designers, both web and print based. Web Design Ledger – http://webdesignledger.com/ – Continually interesting publication, focusing on many of the technical elements to web design. Spoon Graphics – http://blog.spoongraphics.co.uk/ – Maybe better suited in the general design category, but Chris’ blog has some great web based tutorials. Boagworld – https://boagworld.com/blog/ – A great resource of both web and digital advice from Paul Boag. Line25 – http://line25.com/ – A place to share web design ideas and inspiration through articles, tutorials and examples of stunning site designs. Grain Edit – http://grainedit.com/ – A mix of contemporary graphic design inspiration and vintage/retro, illustrative styles to peruse. Awwwards Blog – http://www.awwwards.com/blog/ – Best known for their web design awards, their design blog deserves just as much credit. Tuts plus – http://tutsplus.com/blog – Mostly tutorials, which you’d expect, but their general design articles are great reads as well. I Can Be Creative – http://www.icanbecreative.com/ – A great resource for design resources, trends and inspiration. Creative Overflow – http://creativeoverflow.net/ – Does a good job of covering all elements of web design, not just the technical side of things. Design Follow – http://www.designfollow.com/ – Articles, resources and tutorials in a range of design topics. Interactive Red’s Blog – https://www.interactivered.com/blog/ – Great blog that focuses on the digital, mobile and interactive side of design. Digital Telepathy’s Blog – http://www.dtelepathy.com/blog/ – Insights and best practices for UX and product design. 1st Web Designer – http://www.1stwebdesigner.com/blog/ – With a community of respected web design professionals, great articles are almost guaranteed! Web Designer Depot – http://www.webdesignerdepot.com/ – a hugely popular web design blog that seems to cover all the topics really well. UX Magazine – http://uxmag.com/ – Defining and informing the complex world of user experience, or UX. Creative Nerds – http://creativenerds.co.uk/ – Design inspiration, freebies and tutorials. David Airey’s Blog – http://www.davidairey.com/ – David regularly publishes great articles on a range of topics from Branding advice to architecture, interspersed with informative posts providing incredible advice for other designers based on his experience. The Design Blog – http://thedsgnblog.com/ – With a great attention to detail, the Design Blog always provides a great hub of visual inspiration. Every day there’s a specific type of post, such as “Designer of the Week”, “Friday Freebies” etc. so keep checking in! The Logo Smith’s Blog – http://imjustcreative.com/blog – I’ve been a longtime fan of Graham’s blog and his writing style – constantly a solid resource of inspiration, information and educational posts about life as a freelance graphic designer. Logo Design Love – http://www.logodesignlove.com/ – another superb design blog, and book by the same name from David Airey. Brand New – http://www.underconsideration.com/brandnew/ – with opinions on corporate identity design, I’m a huge fan of their before and after rebrand showcases, along with the public voting system. Branding Served – http://www.brandingserved.com/ – A curated selection of work from the leading creatives on Behance. Identity Designed – http://identitydesigned.com/ – An excellent showcase of the behind the scenes of branding projects, with a lot of contributions from the designers themselves involved in the work. BP&O – http://bpando.org/ – Branding, Packaging and the Opinions of graphic designer Richard Baird. I always see a lot of gorgeous work here that hasn’t seemingly been published elsewhere. Logogeek’s Blog – http://logogeek.co.uk/logo_design_blog/ – Ian aka “Logogeek” provides a great resource of well-written, informative articles for designers, especially those who specialise in logos and branding. Logo Designer Blog – http://www.logo-designer.co/ – A great blog I only came across recently, with an obvious focus on logo design and branding. Logo lounge Articles – https://www.logolounge.com/articles.asp – Amazing resource to stay fresh with all that’s going on in the world of logo design. Lovely Stationery – http://lovelystationery.com/ – A curated guide to the very best in stationery design. Visuelle – http://www.visuelle.co.uk/ – Focusing on gorgeous brand identity work from around the world. Just beautiful. For Print Only – http://www.underconsideration.com/fpo/ – A sub-section of UnderConsideration, For Print Only offers a great selection of printed media. Richard Baird’s Blog – http://www.richardbaird.co.uk/blog/ – Big fan of Rich’s work, almost bigger fan of his articles and writing! Design Taxi – http://designtaxi.com/category/Graphic%20Design – Journaling ideas since 2003, Design Taxi provides inspiration and creativity daily. Lovely Package – http://lovelypackage.com/ – Curating the very best in packaging design. Fonts In Use Blog – http://fontsinuse.com/blog – if you haven’t heard of ‘Fonts In Use’, check them out whilst your own their blog – it’s an amazing idea where designers literally work out the fonts in use in specific projects or images. I Love Typography – http://ilovetypography.com/ – Fonts, typefaces and all other things typographical! Type For You – http://www.typeforyou.org/ – A blog on typography, with news, interviews and always beautiful typeface inspiration. Type token – http://www.typetoken.net/ – Showcasing and discussing the world of typography, icons and visual language. The Fox Is Black – http://thefoxisblack.com/ – Love the name. Love the logo. Love the blog! It’s Nice That – http://www.itsnicethat.com/ – “Championing creativity since 2007” is their tagline, so you know they’re pretty established as a design hub. The Dieline – http://www.thedieline.com/ – My personal, go-to resource for inspiration on developing a brand out across a product or through it’s packaging. Booooooom – http://www.booooooom.com/ – Hope I got the right amount of “o’s” in this one! Great website for daily, visual inspiration. Inspiration feed – http://inspirationfeed.com/ – This blog always has a lot of decent lists, money saving deals and resources for designers. Iain Claridge’s Blog – http://www.iainclaridge.co.uk/blog/ – Serves as a “repository for random morsels of ocular delight” – love it. The Inspiration Grid – http://theinspirationgrid.com/ – Brings you the best creative stories from around the world. DdesignerR – http://www.ddesignerr.com/ – Inspiration, photography, design and digital creativity. Good Design Makes Me Happy – http://www.gooddesignmakesmehappy.com/ – Another that should be fairly self-explanatory. If you like good design, you’ll love this blog. We And The Color – http://weandthecolor.com/ – A great blog for daily art and design inspiration. Design Everywhere’s Tumblr – http://designeverywhere.tumblr.com/ – A visual showcase of carefully selected graphic design work from around the world. From Up North – http://www.fromupnorth.com/ – They do have an ‘articles’ section if that’s your thing – I appreciate their visual inspiration. Inspired Mag – http://inspiredm.com/ – A popular blog about design, development and inspiration. Site Inspire – http://www.siteinspire.com/ – Showing some of the most beautiful websites currently on the go. Inspiration Hut – http://inspirationhut.net/ – Daily art/design inspiration and downloads. Design Clever’s Tumblr – http://designclever.tumblr.com/ – A gorgeous Tumblog of every kind of design imaginable. Co. Design – http://www.fastcodesign.com/ – Although they pay a lot of attention to the design side of things, I appreciate the more wide-ranging articles on everything from geeky gadgets to global interest posts. Justcreative’s Blog – http://justcreative.com/ – Again, a blog that should/could probably go in the design section, Jacob provides a great resource for young designers looking to get into the business of design. NuSchool – http://thenuschool.com/home – Some of the absolute best articles providing education for creative professionals. Definitely worth the read! Creative Review – http://www.creativereview.co.uk/cr-blog – The CR blog offers super high-quality posts on a range of topics along with their published magazine. Millo’s Blog – http://millo.co/ – A tonne of valuable information on business and freelancing for all designers to take note of. Freelance Folder – http://freelancefolder.com/blog/ – Actionable insights and advice on all things freelance. Clients From Hell – http://clientsfromhell.net/ – Think you have a bad client, think again. Spend a few minutes here for a laugh/cringe. Paul Jarvis’ Articles – https://pjrvs.com/articles – First of all, love the simplicity of the site. Content wise, excellent insights from Paul Jarvis. Cameron Moll’s Blog – http://www.cameronmoll.com/ – Cameron covers a bit of everything in his blog, which I love, especially the “miscellaneous banter” as he puts it. Subtraction – http://www.subtraction.com/ – Great posts from Khoi Vinh on a range of topics, love the minimal layout too. Ciera Design’s Blog – http://cieradesign.com/blog/ – Ciera’s blog contains a wealth of inspiration, advice and range of topics that will appeal to all freelancers. Rair’s Blog – http://www.rair.co.uk/blog/ – Lost of interesting articles from industry news to start-up advice and legal matters. Pinnate Road’s Blog – http://www.pinegateroad.com/blog/ – Kelsey’s blog features a lot of great advice to running a business and freelancing as a designer. Brent Galloway’s Blog – http://brentgalloway.me/blog – Brent is a US based, freelance designer whose blog offers a great insight into his day to day life. Jessica Hische’s Thoughts – http://www.jessicahische.is/thinkingthoughts – A lot of personal insights in this blog, along with some great advice and tips for freelancing. Sacha Greif’s Blog – http://sachagreif.com/ – Sacha is a respected designer, coder and entrepreneur whose blog offers ideas, tips and advice for up and coming designers amongst personal updates and news. Sievers Creative – https://www.sieverscreative.com/news-and-updates/ – A creative blog about marketing, web design and advertising. Always good advice to be found here.